The Book of Ra pokie is a Novomatic developed video slot, and one which focuses on Ancient Egypt. The pokie machine game features many of the most stereotypical Ancient Egyptian symbols, such as a death mask, winged statues, scarab beetles, explorers, and, of course, the titular Book of Ra. The deluxe edition of this game contains better graphics and a more advanced gameplay structure. Graphically Book of Ra may not be the most appealing pokie of all time, but it is entertaining nonetheless. Book of Ra is played over a total of 5 reels and 10 paylines. Players will be able to choose bets of 100 coins per line, which will see their total bet range from a low of just 1 coin per line, per spin, up to a high of 1,000 coins per spin. Sure, 10 paylines isn’t the most you’ll ever find in an online pokie, but it should be enough provide you with frequent enough winnings. Play for real money at Energy Casino! Play Now! Wild symbol: Book of Ra’s wild symbol is the Book of Ra itself. When this symbol appears, it can replace the explorer, death mask, winged statue, scarab beetle, 10, Jack, Queen, King and Ace symbols. Scatter icon: Funnily enough that same Book of Ra wild symbol is also the scatter icon in this pokie. 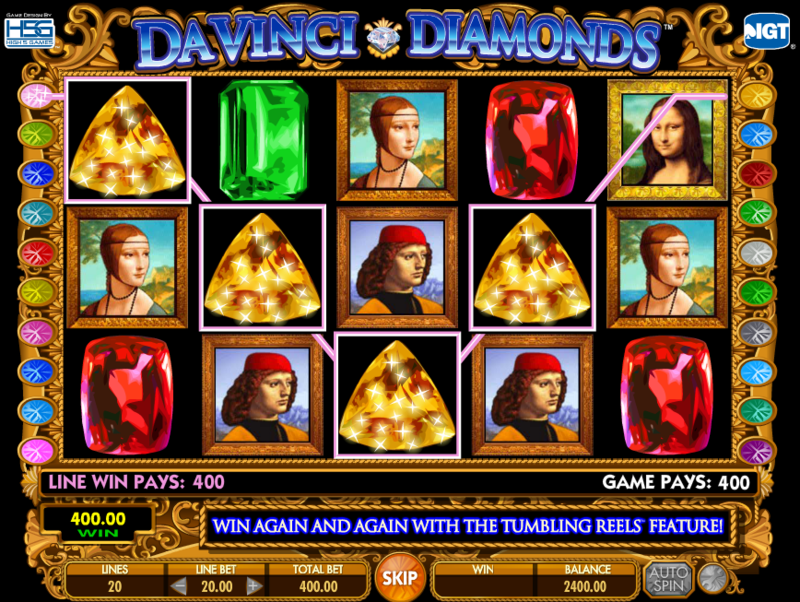 When it appears three or more times in any positions on the reels, it will trigger a free spins bonus round. Free spins: The free spins bonus in Book of Ra is pretty basic. Players will start with a total of 10 free games. Players will also be able to use special expanding symbols to pick up bigger wins in the bonus game. Scatter/wild icons cannot replace these special expanding icons in the bonus round. The special expanding icon is randomly selected prior to the start of the free spins bonus. As good as these features are, we certainly won’t be opposed to seeing a few more special features appear in the Book of Ra online video pokie machine game. 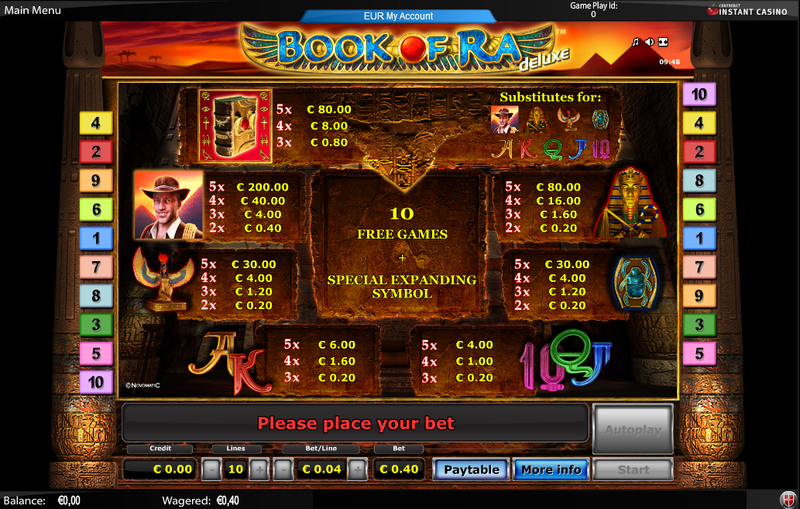 Gamble feature: Book of Ra contains a gamble feature, which will allow players to gamble any recently acquired winnings. You don’t have very good odds of doubling up your cash, so it is one feature that you may not wish to use. 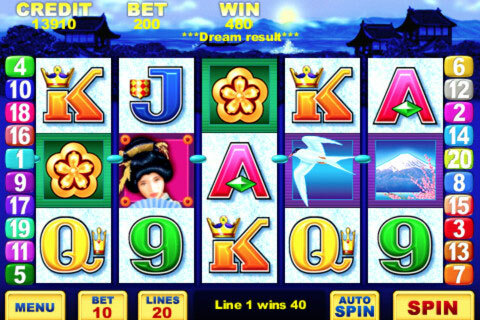 Several symbols offer absolutely huge wins in this simplistic video pokie game. Although the death mask and Book of Ra symbols themselves can see you pocket wins upwards of 200,000 coins; the best paying symbol in Book of Ra is the explorer icon. When this symbol appears 5 or more times in any position on the reels, the player can pocket wins of up to 500,000 coins, when playing on the maximum bet. Book of Ra is a well-received pokie. Although it is incredibly basic, it has gained huge popularity on the internet. This Novomatic developed pokie combines both wilds and scatters into one symbol, and this means that there aren’t additional symbols on the wheels. That can be quite nice, since it is very common for pokies to contain so many symbols that they interfere with you winning paylines regularly. As we’ve said, this isn’t going to be a problem in Book of Ra. 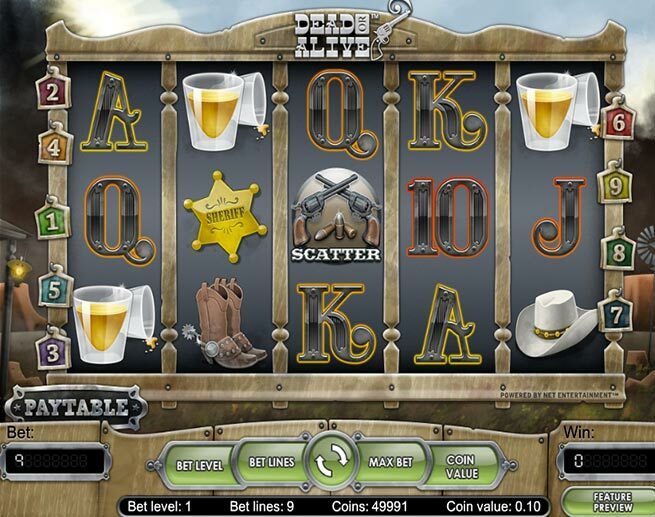 Choose from a full suite of old and new Novomatic pokies to play on PC or mobile.